VMware certifications paths have been increased in the recent years. From the original (and only) path, depending by the VMware technology, other paths have been added. 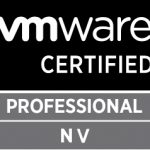 Each path has different certification level as describe in this post: Are you ready for new VMware’s certifications? 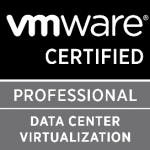 The new new VMware Certified Professional – Digital Workspace 2018 (VCP-DW 2018) certification is the first certification within the new Digital Workspace track. Earning this certification validates your ability to securely deliver and manage any app on any device using VMware Workspace ONE. VCP-DW 2018 spans a broad range of essential skills, including configuration, deployment, management, maintenance, optimization, and basic troubleshooting. Probably other level will be added in the future, depending on how this certification will be accepted by the market. I’ve already wrote about the specialist exam (My experience with vSAN 2017 Specialist exam) but at this time I still not get the value of those exams, untill they became part of the certification paths or, at least, required for VMware partner levels. For more information see also the official VMware certifications roadmap. You should follow the certification path.